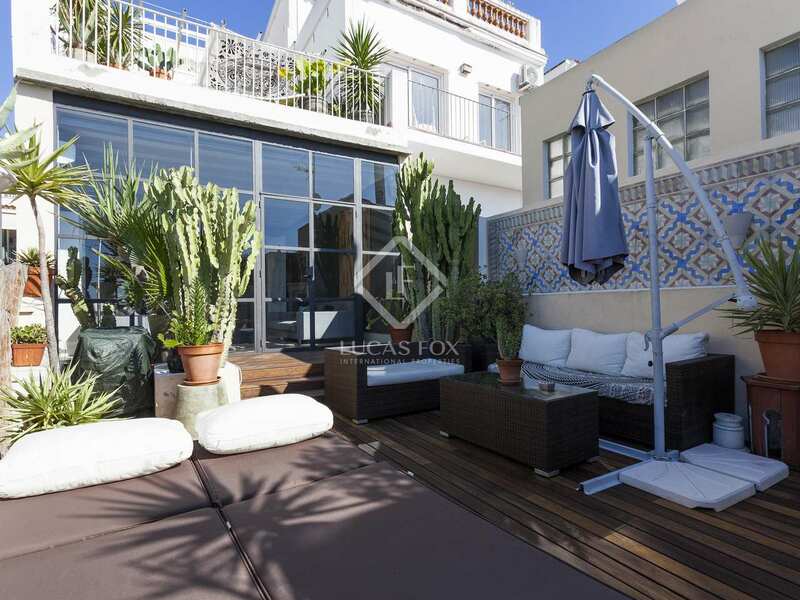 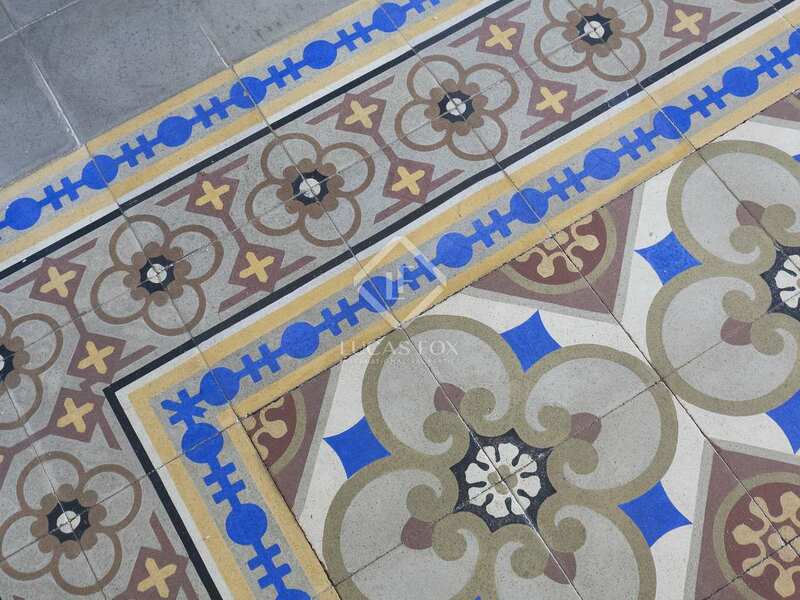 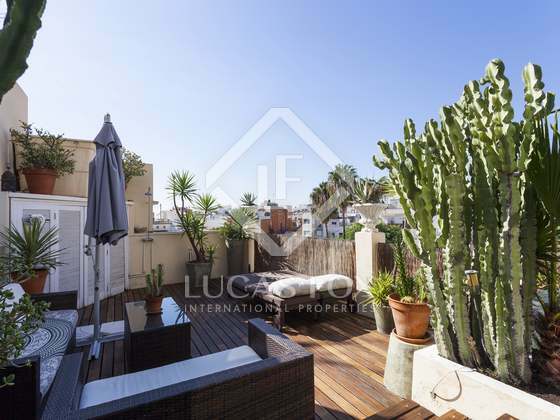 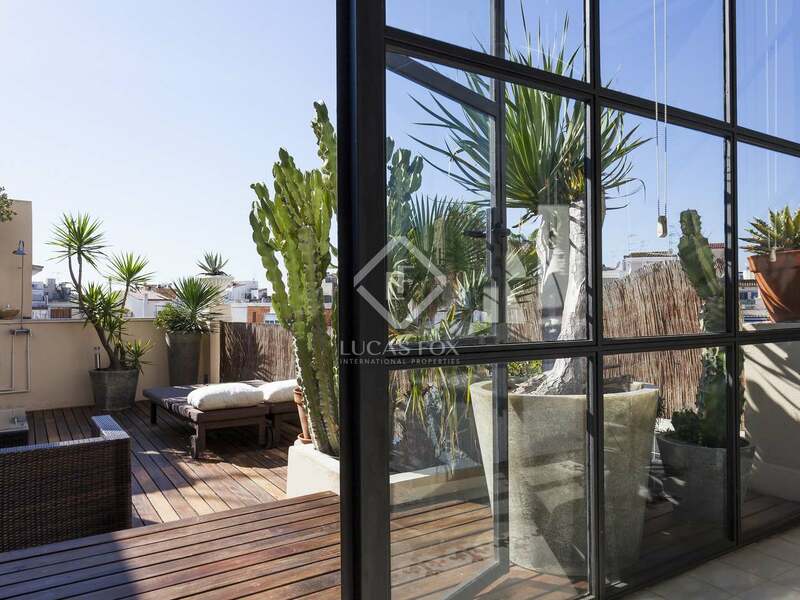 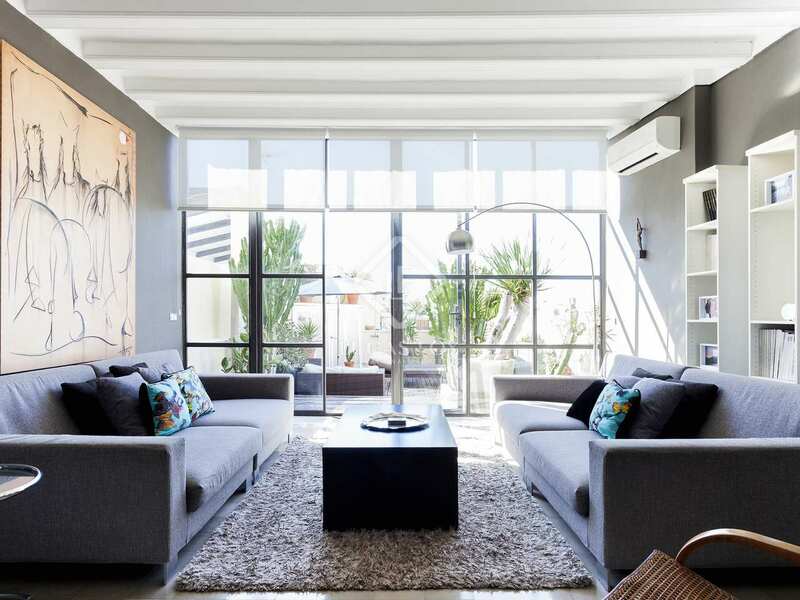 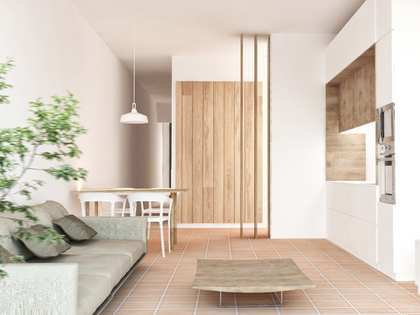 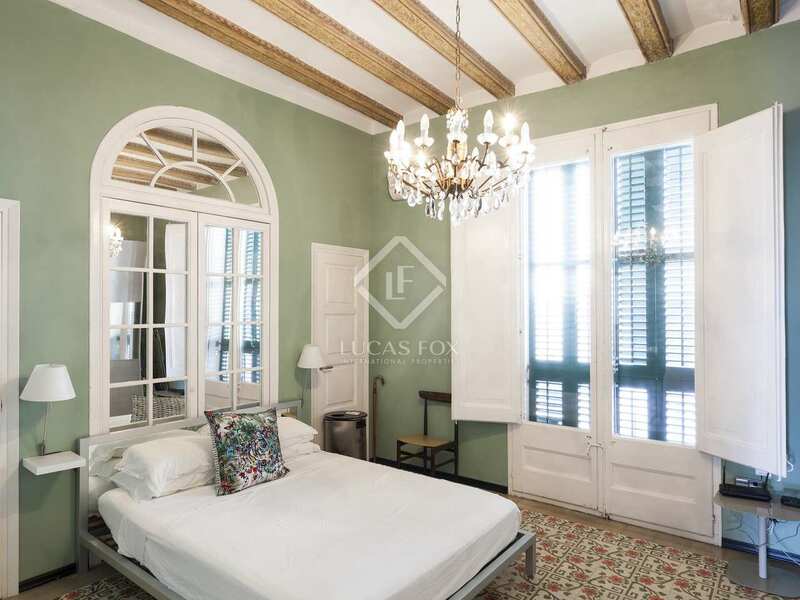 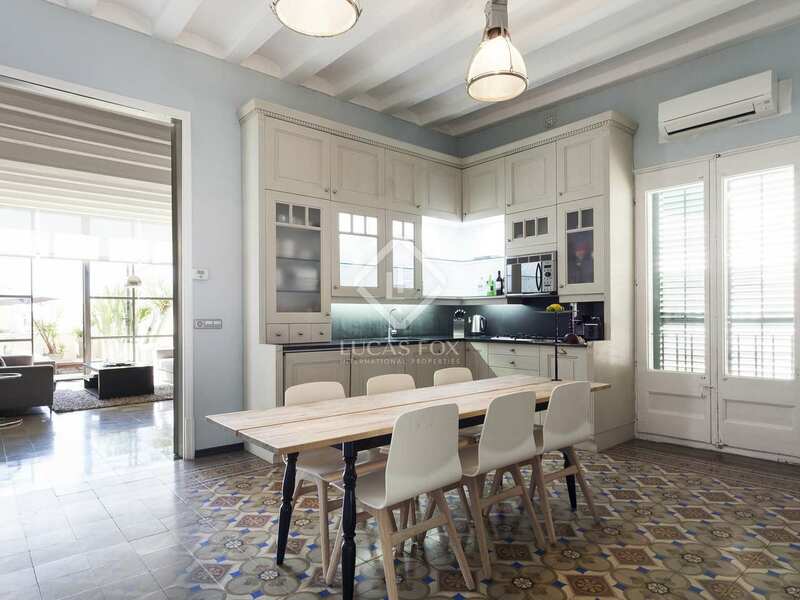 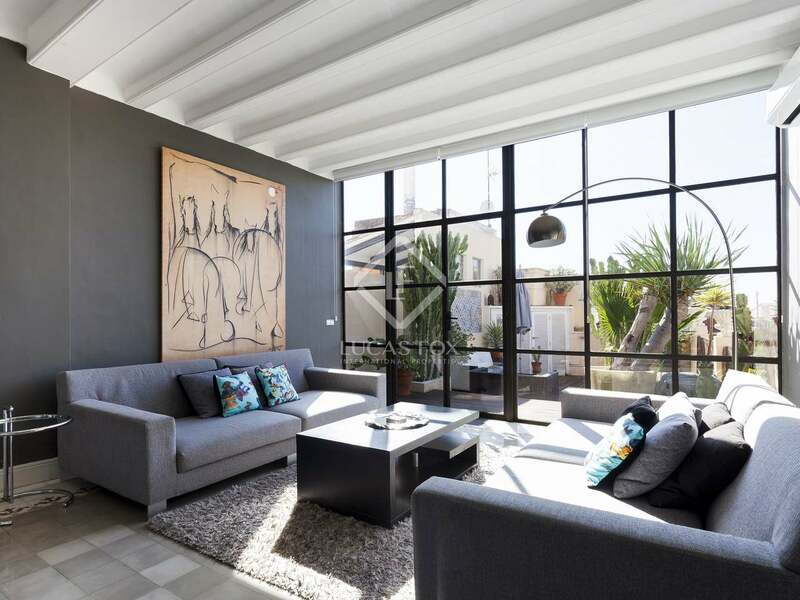 Fully furnished property with exquisite interior design, beautiful original period features and a 30 m² decked terrace for sale on a pedestrian street in the historic centre of Sitges. 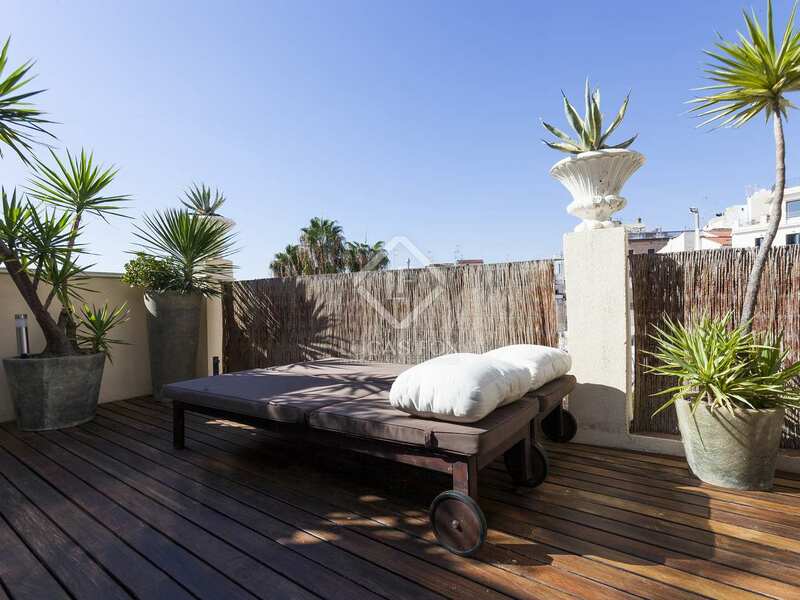 Superb period property located in a Modernista corner building, with just one other neighbour, on a quaint pedestrian street in Sitges old town with shops and restaurants, just a 2-minute walk from the beach. 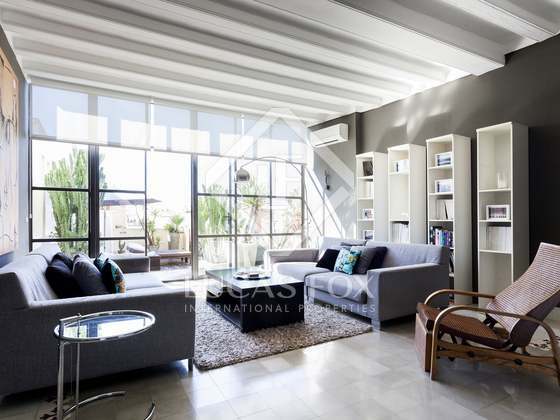 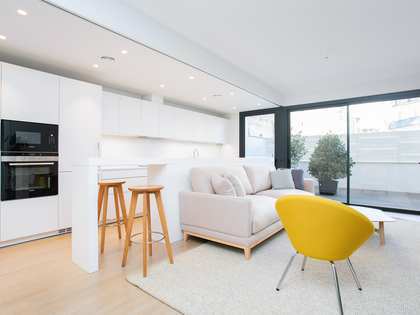 The entrance hall leads to a large semi-open fitted kitchen with space for a dining table, then through to the large living room with glass wall opening onto the 30 m² decked terrace. 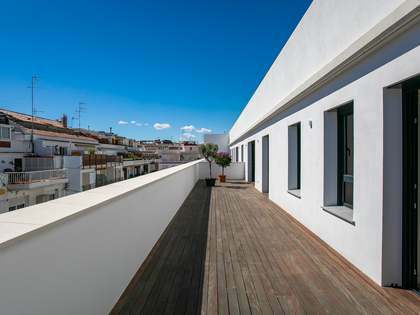 From here we can enjoy open views over the rooftops of the historic part of town and of a quiet park. 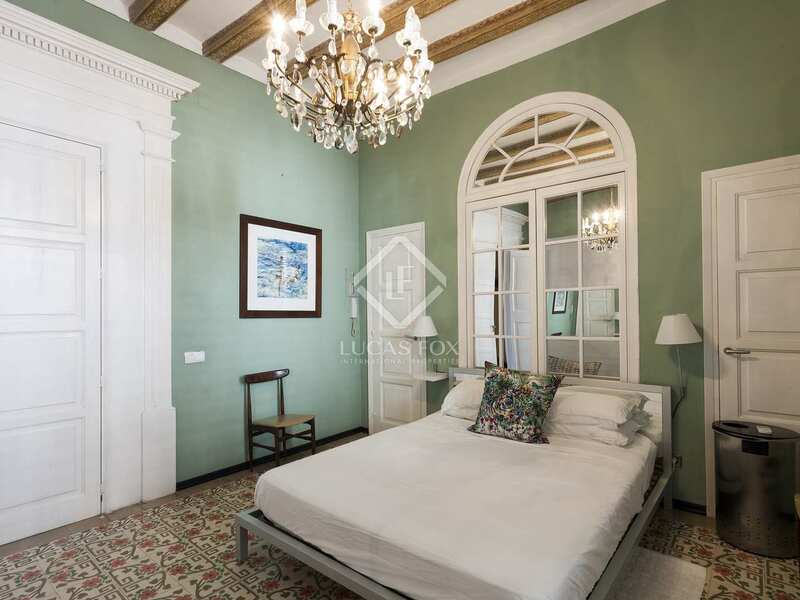 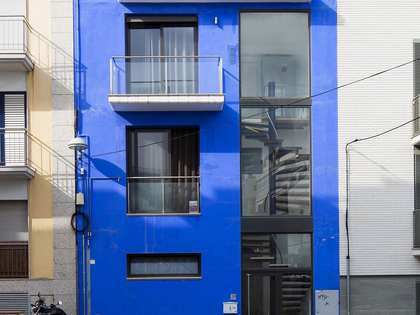 Left of the entrance is the large bedroom with 2 windows with Juliette balconies and an en-suite bathroom. 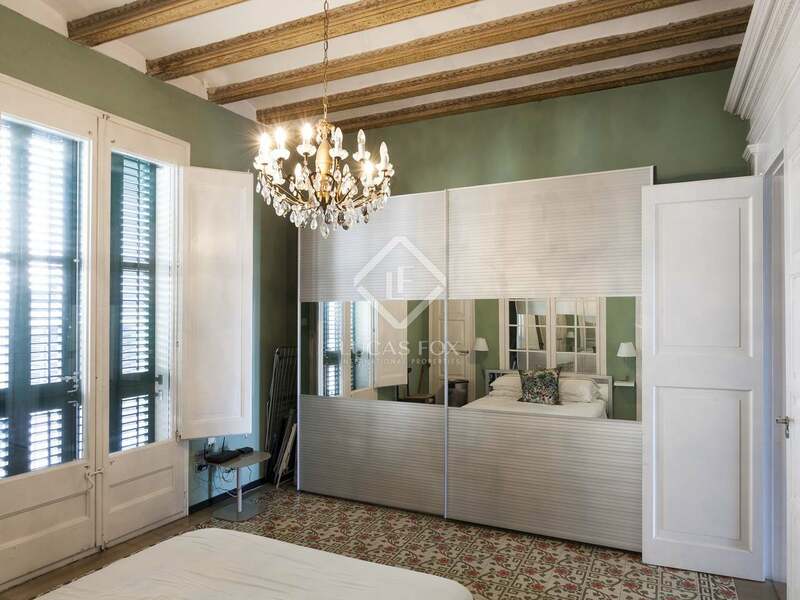 Given the generous size of this bedroom, it would be possible to create a second bedroom if necessary. 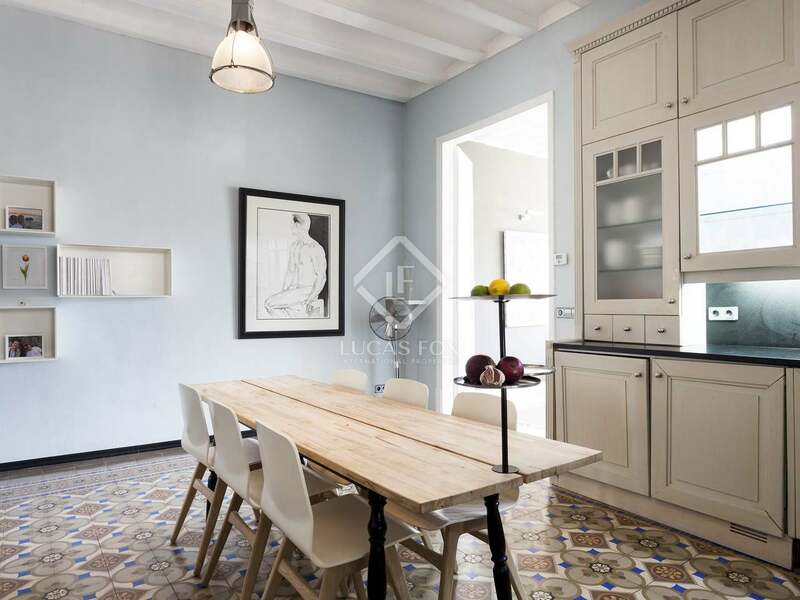 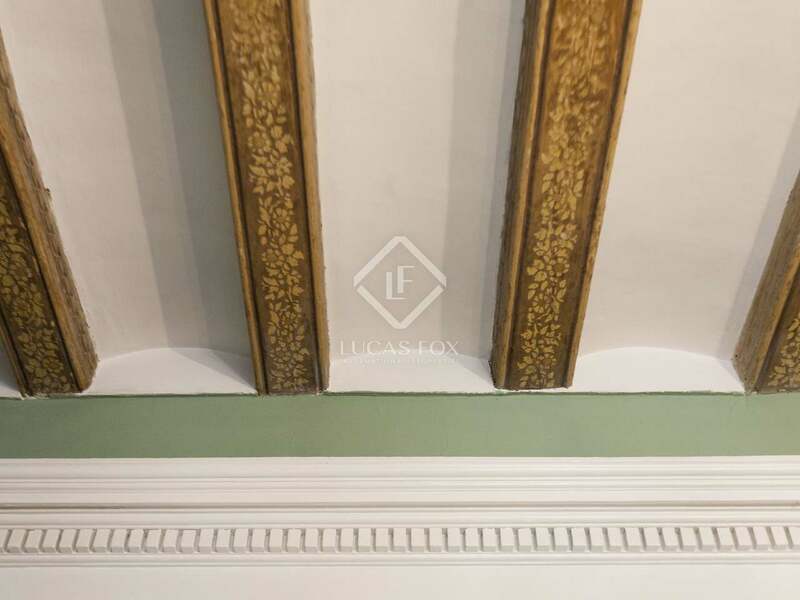 The property has been modernised with excellent taste and maintains beautiful original period features such as the very high ceilings, exposed beams some with decorative detailing, well preserved original mosaic flooring throughout and very large wooden windows with original slatted wooden shutters. 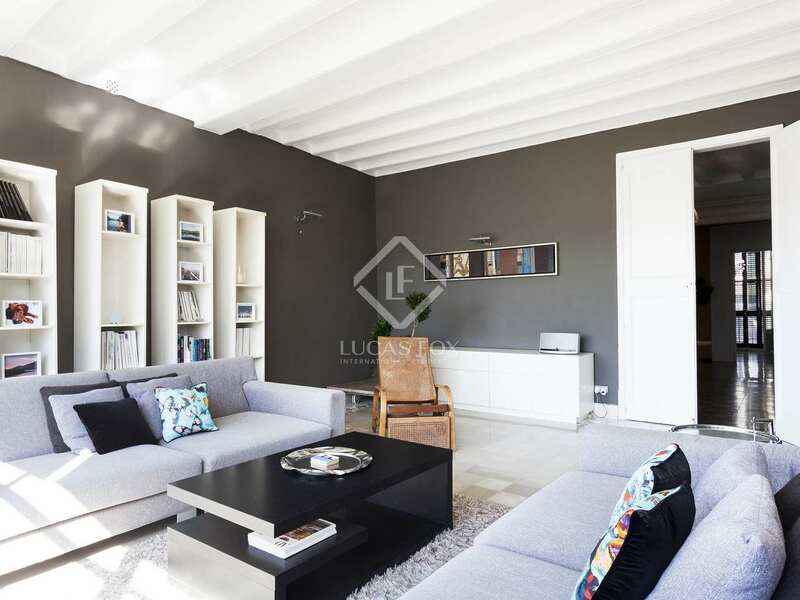 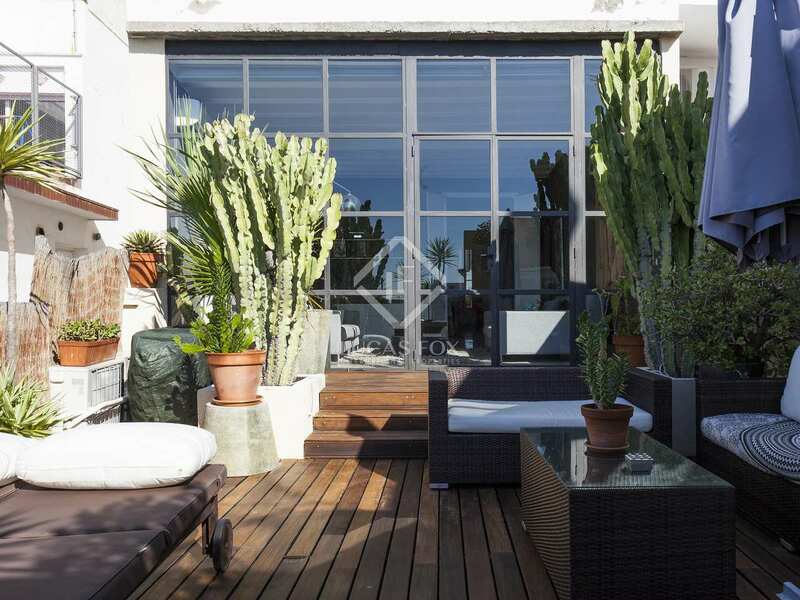 Fully furnished and in excellent condition, this unique Sitges home in an unbeatable location is ready to enjoy whether as a luxury pied-a-terre by the sea, a permanent home or as a long-term rental investment. 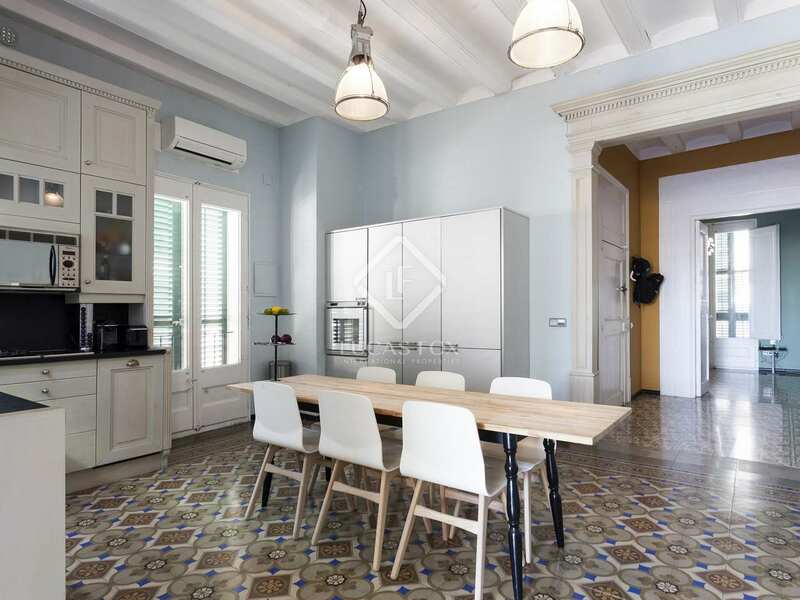 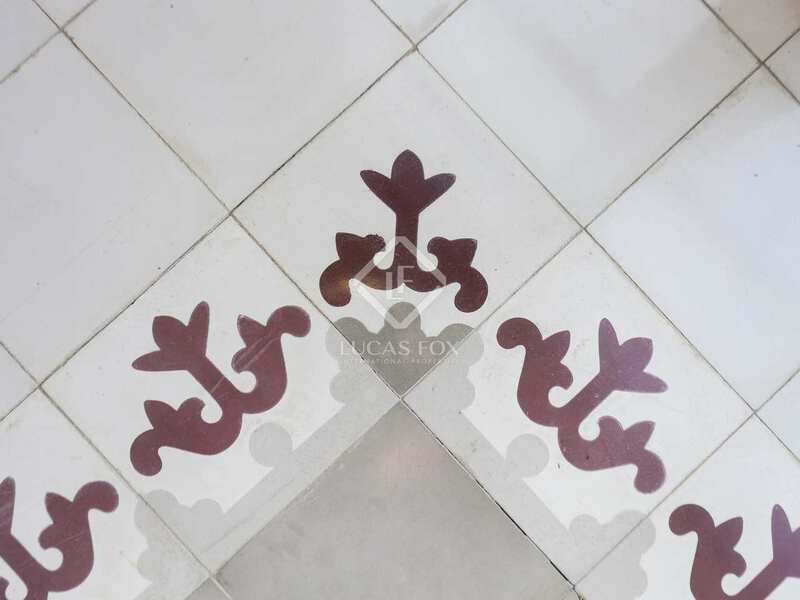 Period property located in a corner building on a pedestrian street in the heart of Sitges old town. 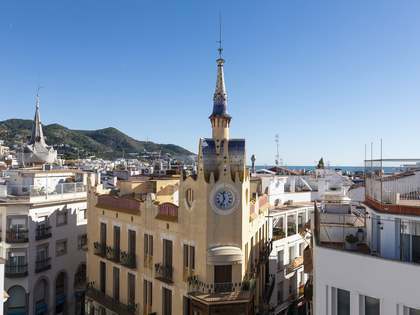 This pedestrianized street has shops, restaurants etc and is a 2-minute walk from the beach.